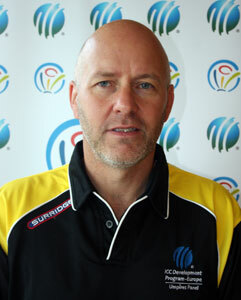 Scottish umpire Ian Ramage has retired from international umpiring duties. The 60 year-old enjoyed a stellar career during his 12 years in the middle, officiating in no fewer than 35 One-Day Internationals and seven T20I’s. He officiated in his first ODI in the game between Ireland and Kenya in Belfast in 2008, while his last was the Scotland game against Zimbabwe in 2017. The Edinburgh man also officiated in no fewer than five Under 19 World Cup tournaments. His place on the international panel will be taken by David McLean, who joins Alex Dowdalls and Allan Haggo.